Furman alumnus Doug Berky is internationally known for his storytelling, comedia dell’arte productions, mime, physical theatre and expertly crafted masks. 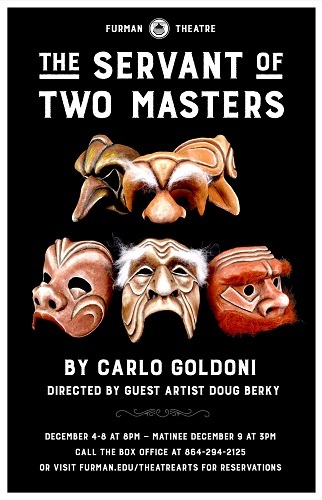 Furman University Theatre will present “The Servant of Two Masters” by Carlo Goldoni Tuesday, Dec. 4, through Saturday, Dec.8, at 8 p.m., with a matinee Sunday, Dec. 9, at 3 p.m. All performances take place in The Playhouse on the Furman campus. Guest artist Doug Berky directs the physical comedy staged by Furman Theatre. 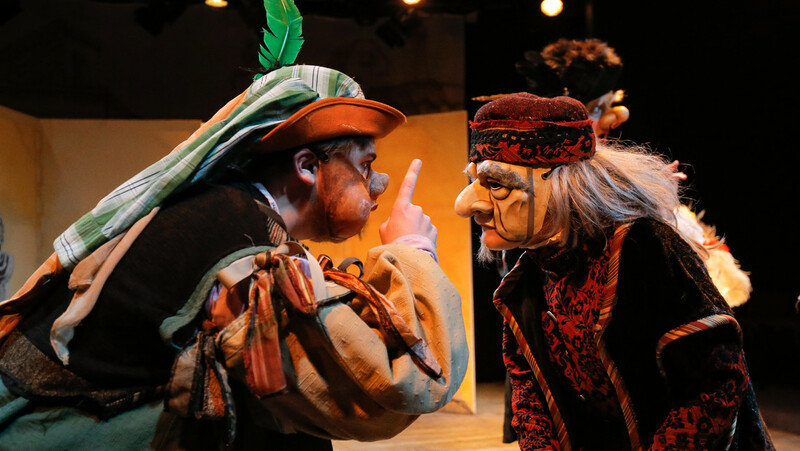 Open to the public, the CLP performance is directed by guest and alum Doug Berky (Class of 1995), internationally known for his storytelling, comedia dell’arte productions, mime, physical theatre and expertly crafted masks. Tickets are $18 for adults, $15 for seniors and $10 for students. Described as a physical theatre feast, “The Servant of Two Masters” promises to answer questions like: Is Federigo really dead? Will Clarice and Federigo, who may be dead, tie the knot? Does the Doctor really know Latin? Does Beatrice enjoy cross-dressing? Has Silvio ever really used his sword? Does Pantalone have an honorable bone in his body? Is Florindo a wanted man? Could Smeraldina be a feminist? and Will Truffaldino betray Pasquale in his search for love, a full stomach and double overtime? Alise Harris, Skyler Fox, Makala Fuller, and Dan Marino play the role of Zanni. For ticket information and reservations, call the Theatre Box Office at 864-294-2125. Tickets go on sale Monday, Nov. 26, and may be ordered online. Online ordering charges apply. Last updated December 5, 2018 .